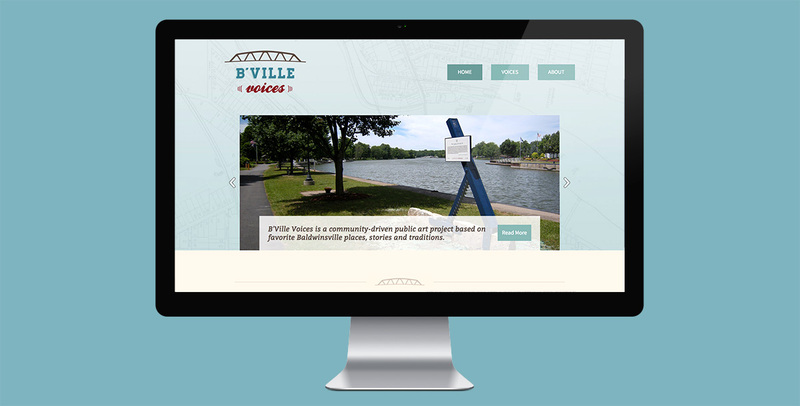 B’Ville Voices is a public art project based on favorite Baldwinsville places, stories and traditions. Echo partnered with City Lore, the Erie Canal Museum and the Village of Baldwinsville to create a trail of “memory-markers” highlighting the first person stories, histories, and experiences of Baldwinsville, past and present. 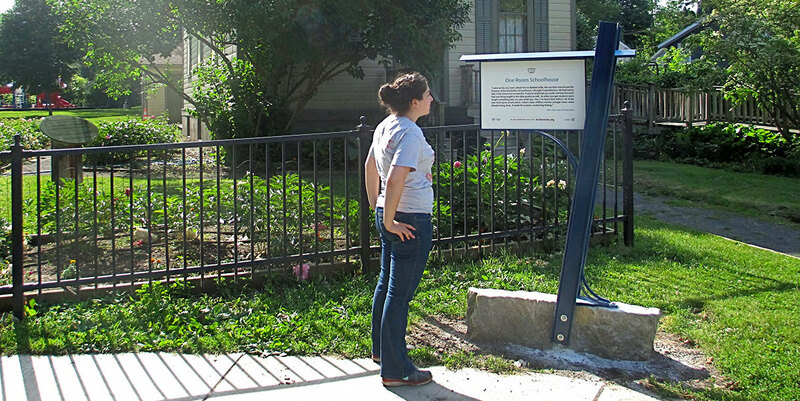 These memory-makers promote knowledge of the past, and they encourage greater appreciation for the people and sites that have made B’Ville a great place to live, work and play. 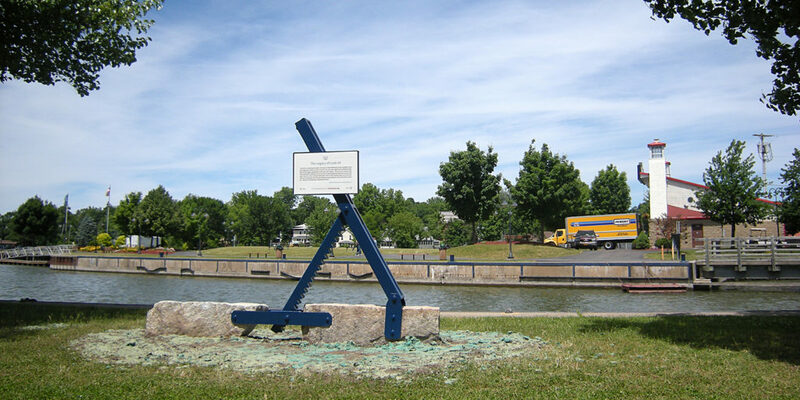 Their forms pay homage to the infrastructure of Erie Canal Lock 24, as well as Baldwinsville’s heritage. Echo also created the brand identity for the project as well as a website that houses the oral histories that inspired each marker.